Oh hello strangers.... yes - it's me! I am back! I'm not sure how many times I have said that here, probably a few too many, I seem to have had quite a number of 'blogging breaks' over the past 18 months, this last one being the longest and probably most positive for myself. I definitely needed to take a step back and breathe for a bit before getting back into writing, photography and creating again - something was missing and my heart just wasn't in it anymore. But, now I am here and I am super happy about it! A Yellow Brick Blog will soon have a brand new name and look and I just cannot wait for my 4th year of blogging to be a fresh new journey. Do make sure you're following me over on Twitter, Instagram & Facebook to keep up to date with everything I do, including being the first to hear about every single new post I put up! First things first, the clocks have sprung forward so it is time to say hello to lighter evenings, lighter jackets and fingers crossed a life in sunglasses (they hide a multitude of sins). 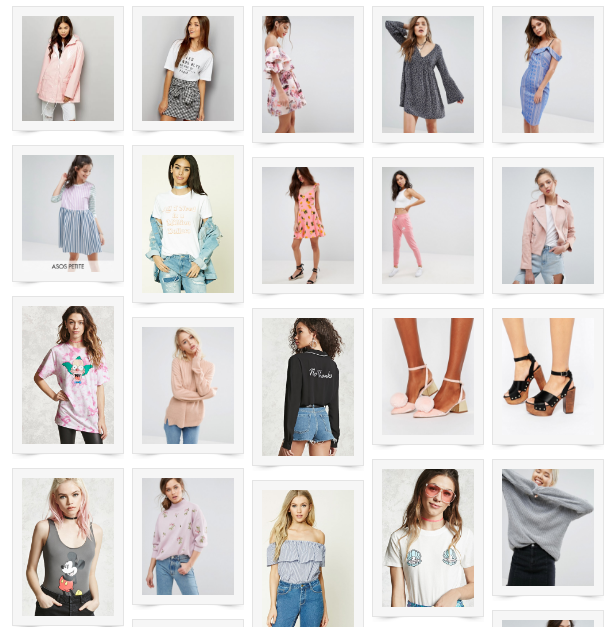 Check out below for some of the cutest Spring bits I have fallen just a bit in love with..... no where is that money fairy? I definitely need to win the lottery haha! Sooo much lovely stuff out there at the moment!